High School: 3 sections open for grade 12 and below. Must be born after January 6th, 1999. Junior High: 2 sections open for grade 9 and below. Must be born after January 6th, 2003. Elementary: 4 sections open for grade 6 and below. Must be born after January 6th, 2006. Primary: 3 sections open for grade 3 and below. Must be born after January 6th, 2009. K-1: 2 sections open for grade 1 and below. Must be born after January 6th, 2011. January 2019 official ratings from www.uschess.org will be used. Unofficial ratings are usually used for players who are otherwise unrated. The Tournament Director (TD) reserves the right to assign estimated ratings to players with non-USCF ratings. 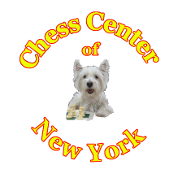 Players who are unrated on the January 2019 USCF Official Rating List, or any unofficial or assigned rating may enter any section for which they also qualify by grade and birthdate. You may choose any section below for which a player qualifies by date of birth, grade and rating.